October is National Breast Cancer Awareness Month. National breast cancer awareness month (NBCAM) is an annual international health campaign organized by major breast cancer charities every October to increase awareness of the disease and to raise funds for research into its cause, prevention and cure. 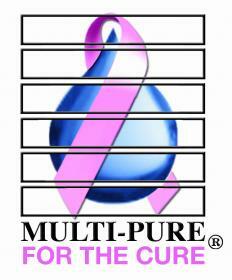 Multi-Pure is proud to support this very important cause by making a donation to support breast cancer research for every drinking water system, or whole house unit purchased during the month of October! Click here to order your Multi-Pure drinking water system. The Susan G. Koman Foundation and NBCA Thanks you for your support!